After acquiring legendary American motorcycle manufacturer Indian, Minnesota based adventure vehicle manufacturer Polaris has been making plans to bring it to India, and they finally have. Last month, Polaris launched the Indian Brand in India, with its first dealership located in Delhi. Indian motorcycles, is an American motorcycle manufacturer which is into the production of classic, full size, true-blue American cruiser motorbikes. They currently have three models in their portfolio and all three models have been made available to the Indian customer. 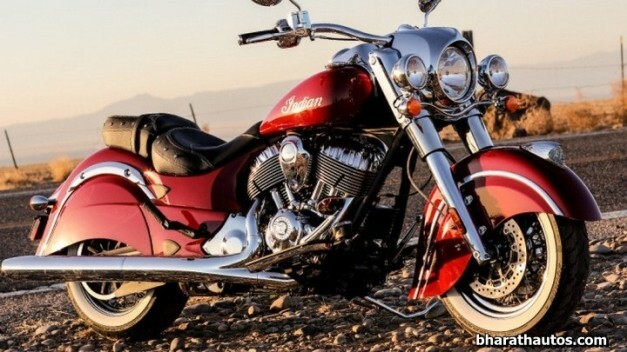 The models available are, Chief Classic, Chief Vintage and Chieftain, and all the three are powered by the same fuel-injected, 111 Cubic Inch (1861 cc) Thunderstroke, twin cylinder engine with a peak torque rating of 161.6 NM at 3000 rpm, and will be mated to a 6-speed overdrive transmission. 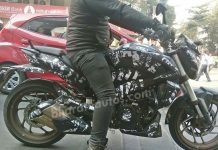 However, the Thunderstroke engine for the Indian market has been down-tuned, and will now produce a peak torque of 140 NM. 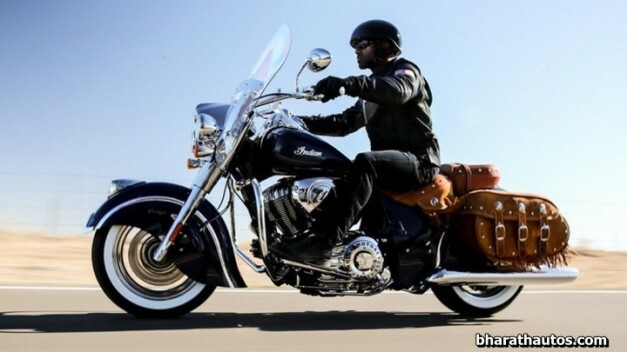 While the Indian Bikes are styled in a vintage manner, the technology used on them is nowhere close to old. The Cheiftain comes with features like a fairing mounted instrument cluster featuring an electronic speedometer, tachometer, fuel gauge with odometer and dual trip-meters with distance and time. Riders get real time feedback with the instantaneous and average fuel economy display; fuel range; clock; ambient air temperature; gear position display; front and rear tire pressure gauge etc. the systems on-board also ensure that, one can monitor the performance of the bike in a detailed manner. One can monitor details like, hours of engine operation; engine oil life percentage; average speed; battery voltage; radio information display and vehicle trouble code readout. Every Indian comes with 15 led telltale indicators to show if the cruise control has been engaged, if the bike is in neutral, or in high beam. It also include lights for turn signals, ABS, check engine light, low tire pressure warning, battery warning, low fuel warning, security system, low engine oil pressure warning and mph or kmph unit designation. While their first dealership is located in Delhi, the location for their next dealership has been found to be in Bangalore. The prices for Indian motorcycles though, are a bit on the steeper side with the Chief Classic retailing at Rs. 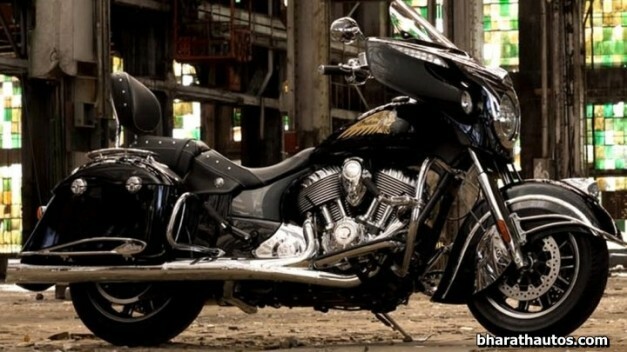 26.50 lakh, Chief Vintage at Rs. 29.5 lakh and Chieftain at Rs. 33 lakh, all ex-showroom, Delhi prices. The motorcycles cost that much, as all of them would be direct imports, manufactured in the USA and hence would fall prey to the exorbitant import taxes in India. Even with these prices, Indian expects to sell 20-30 units annually. Check out more pictures, after a jump. Previous article2014 Auto Expo – Toyota Etios Cross Revealed, Bookings open! Next articleHyundai Verna Facelift launched in China; looks really good to us! "I'm Stephen Neil Gershom, 20 years old and a management student. Born, brought up and currently living in Bengaluru. I am extremely passionate about automobiles on the whole. I have a keen interest in everything that moves with the help of an engine and consider driving to be the greatest pleasure on earth. I love road-trips and also love to explore new places. I have been driving since 7th grade and riding since 8th grade and my love for cars and driving has been increasing by the day. I currently ride a Pulsar 135LS and my dream bike is the Triumph Daytona 675 R. My favourite automobile is the Range Rover, and I dream of owning and driving one around the world; I also would love to drive the Ferrari 458 Italia flat out on the Nurburgring Nordschliefe."